DO ALL CHRISTIANS BELIEVE IN PURGATORY? When the moment came for the book of Jane’s life to be laid out in front of the judgment seat of Christ, there was nothing but joy and contentment. Jane was pure and holy and Jesus was very pleased with the state of her soul. He gave to her a white linen garment to put on, representing the righteous deeds she had done during her life (see Revelation 19:81). 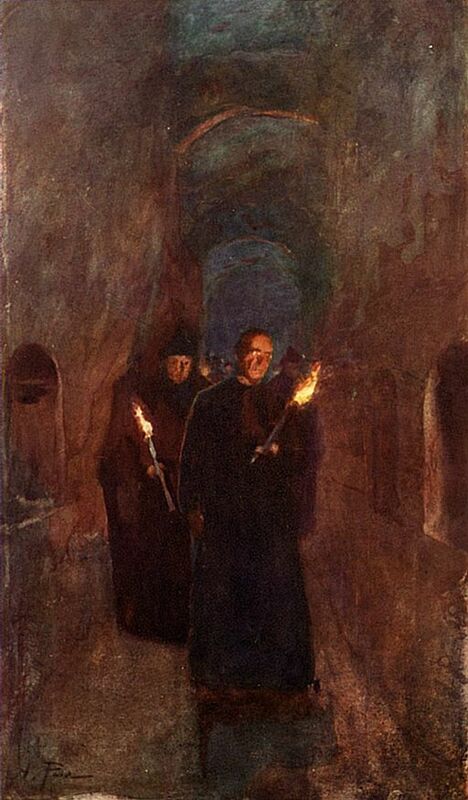 Image: A Procession in the Catacombs of Callistus by Alberto Pisa, 1905, Public Domain, U.S.A.